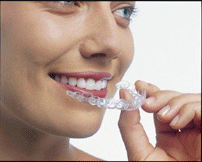 Our dental practices have Invisalign certified dentists serving patients in Collegeville and surrounding communities. Our cosmetic dentistry practices use Invisalign to transform smiles without the need for metal braces. If you're thinking about seeing an Invisalign dentist in Ambler, an initial consultation with our Invisalign certified dentists can determine whether you're a good candidate. Invisalign helps with: crooked teeth, crowded teeth, gapped teeth, and moderate bite issues. 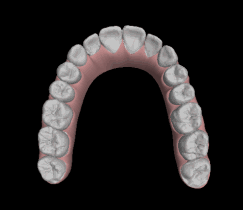 Anyone who wants a straighter smile can be helped by an Invisalign dentist. Invisalign uses a series of clear aligners that are custom made to fit your mouth and move your teeth in a series of predetermined steps. You can see your future smile before treatment begins thanks to digital imaging. Straighter teeth are also friendlier for dental hygiene, making Invisalign an excellent tool for those with crowded teeth concerned about preventing gum disease. Questions? Ready to Begin Invisalign® Treatment in Collegeville?